9 Ventura Ave, Homewood, AL.| MLS# 837383 | Richard Jacks UABLIVING.com 205-910-2297 | Birmingham AL Real Estate | Contact us to request more information about our Homes for Sale in the Birmingham AL area. Stunning historic home located in the highly desirable section of Hollywood. 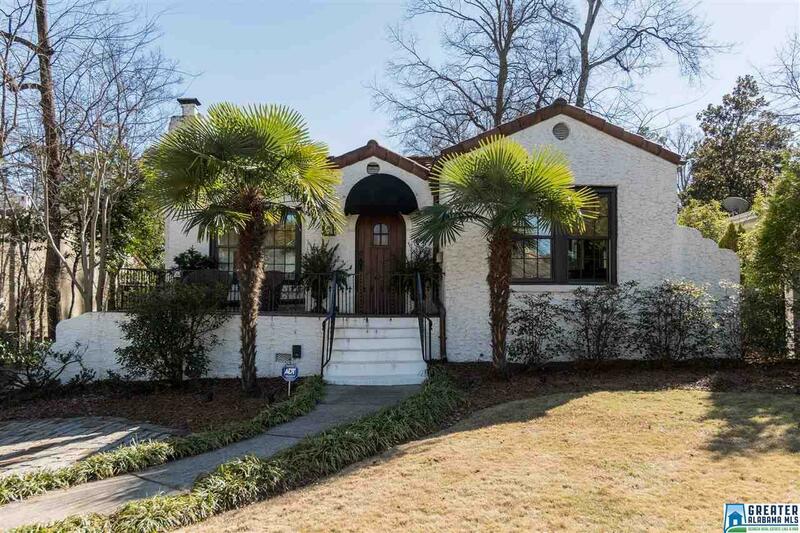 This home boasts charming interior architectural features such as limestone fireplace, arched doorway, textured plaster ceilings and walls plus beautiful original hardwood flooring! Gorgeous slate front terrace plus custom stained Artisan-crafted mahogany front door. Updated eat-in kitchen with granite countertops, glass-front upper cabinets, stainless appliances, gas cooktop, double oven and more. Lovely living room w/gas fireplace including cannon ball gas logs, large dining room perfect for entertaining, and spacious master bedroom w/large master closet and built-in storage. Half-bath conveniently located off master closet plus main level laundry w/utility storage. Mudroom includes built-in shelves perfect for extra pantry storage. Additional features include screened-in deck, flat fenced backyard, iron driveway gate, one car garage w/shelving. Walk to Shades Cahaba Elementary & downtown Homewood.